During the course of her development as an artist her interest for inner beauty and its visualisation became more important. 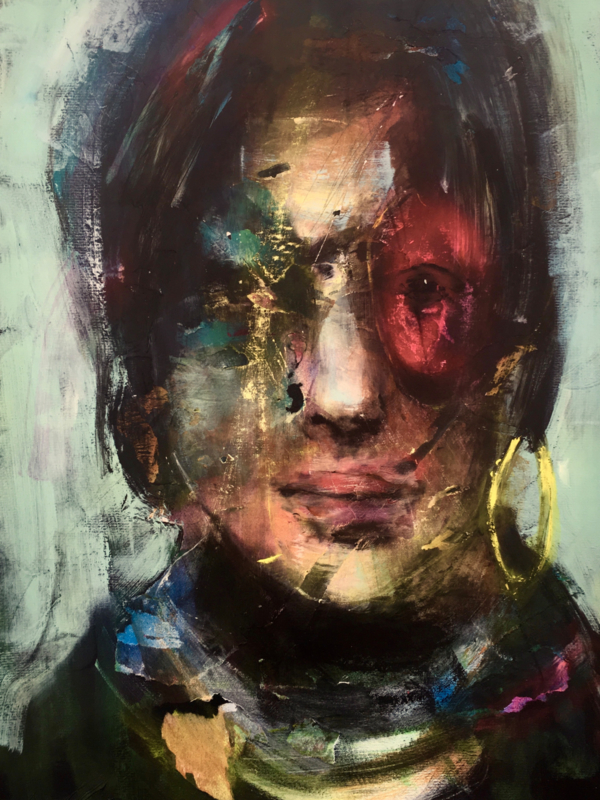 Women have always been the main subject in Yvon’s works of art, with young women in particular featuring often in her work. 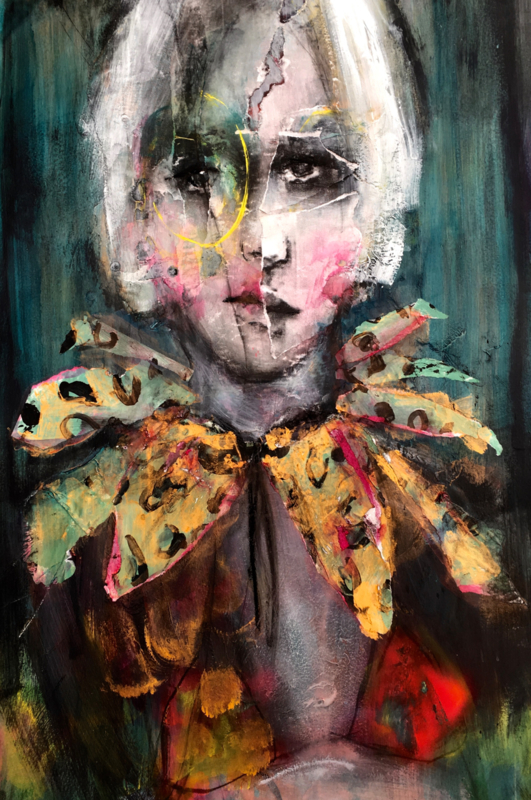 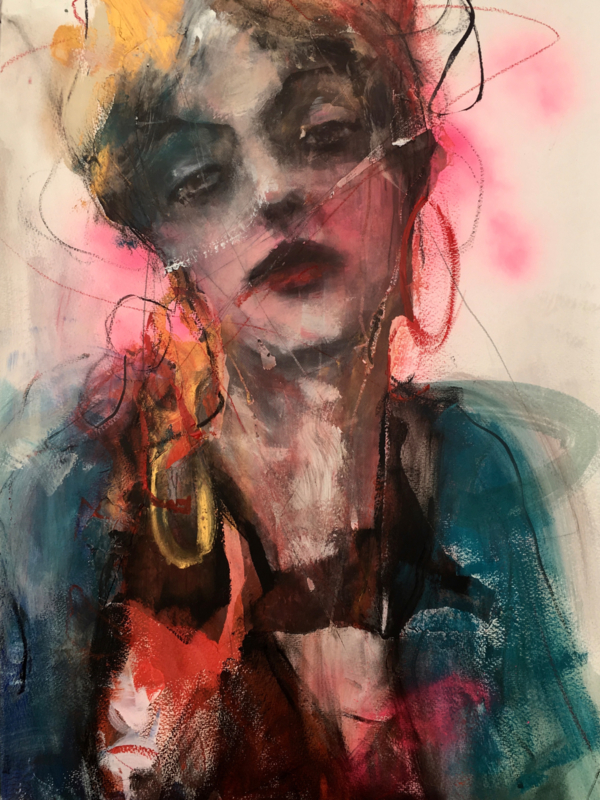 Yvon is a painter and she creates mixed media portraits. In this series the artist depicts the beauty of imperfection. 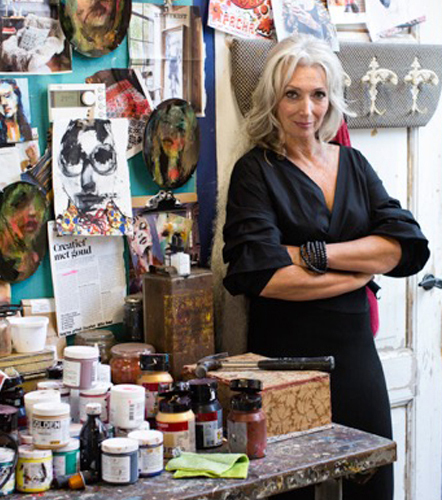 The yellow circle refers to the big round glasses of American style icon Iris Apfel, who was an inspiration to Yvon when she was making these new artworks. 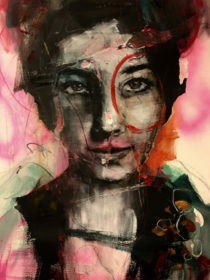 What catches the eye are the multiple layers in the artworks as a result of collage technique and the combination of realistic and abstract painting. 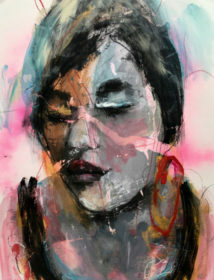 The expressions of the women are longing, in-depth, full of emotion or even serene. 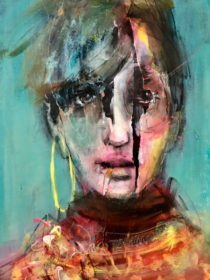 Because of the sharp lining of the palette knife and the use of ripped paper, it seems like the faces have been torn. This could refer to fragmentation or divided personalities. The subject of her art is profound and at the same time the work has a playful appearance due to the colors, forms and technique that she applies.